“Grace of Monaco” was roundly booed and heavily criticised when it was screened at Cannes this year. Now that it's opened to the public does it deserve the pasting that it got? The answer I'm afraid is yes. Grace of Monaco is a turkey with not one single redeeming quality. 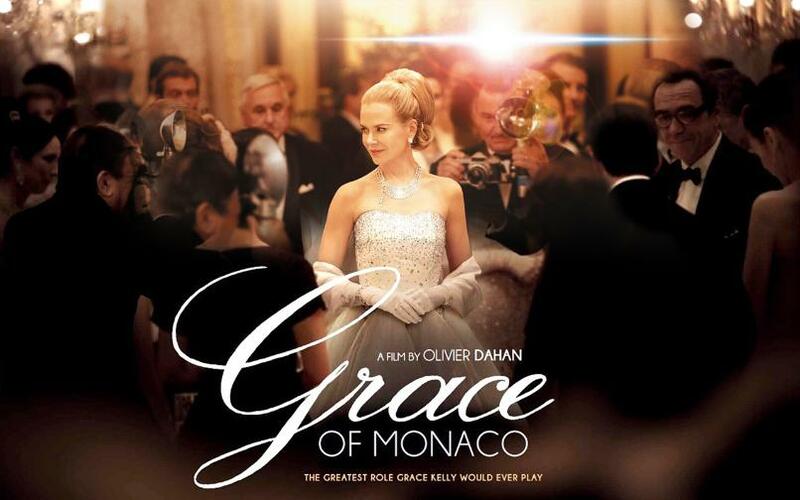 It's poorly acted, the story is ridiculous and it rides roughshod over the truth, just to prove this point the film starts with the words that "Grace of Monaco is a work of fiction that is inspired by actual events". The problem is that the lines between fact and fiction are so blurred that it's hard to separate the fact from the fiction. It's easy to see why the Monaco Royal Family has voiced their disapproval at the film. The film opens in 1956 and Grace Kelly (Nicole Kidman) has just finished the film "High Society", this film as it turns out is to her last Hollywood role before her marriage to Prince Rainier of Monaco (Tim Roth). After some newsreel footage of the real wedding we then jump to 1961 and Grace is starting to have doubts about her marriage and is longing for a return to Hollywood. Her mood is not helped by a visit from Alfred Hitchcock who offers her a starring role in his next picture. Her doubt couldn't have come at a worse time as the Royal Family is in crisis and France is threatening to invade Monaco over laws that allow the rich to take their vast fortunes over the border and thus avoid paying tax to France. After much sole searching, mostly with the family priest (Frank Langella), and a visit to a royal etiquette trainer (played by a camp and over the top Derek Jacobi) Grace, through various facial expressions taught to her by Jacobi, sets about winning over the public of Monaco and saving the Royal Family and ultimately Monaco itself. The whole thing plays like an episode of “Allo Allo”, in one particular scene Grace sends two of her most trusted aides , complete with French berets on their heads, to track down a potential spy that's in their midst. When they do meet the spy you half expect them to say "Listen carefully I will say this only once". The cast have a bizarre mix of accents. Some speak one minute in the broadest of English and then revert to an “Allo Allo” French accent whilst others don't even make an effort to speak in anything but their own accents. What Robert Lindsay's accent is god only knows, he appears to be in a totally different film and spends the whole film looking as if he fell asleep under a sun lamp and he's had one to many sherries. Kidman herself sinks to a new career low, it's hard to believe that this is an actress that has been nominated three times for an Oscar and won once. Watch as she walks down the stairs to meet Rainier, she's so wooden that you expect her to fall over. There is absolutely nothing positive that could be said about this mess, as a history piece “Grace Of Monaco” tells you nothing about Grace Kelly and if it was meant as a tribute then someone has seriously gotten their facts wrong. The real Grace Kelly must be turning in her grave.